The fully automatic vacuum packaging machine is characterised by an automatic bagging station with taped bags on roll, as well as the subsequent fully automatic vacuum sealing and welding with the VSM® system. Since the machine simultaneously vacuums at two vacuum stations, the VSM®5005/4005-R is characterised by its optimum performance capabilities and will thus become the indispensable centrepiece of your product vacuum packing system. 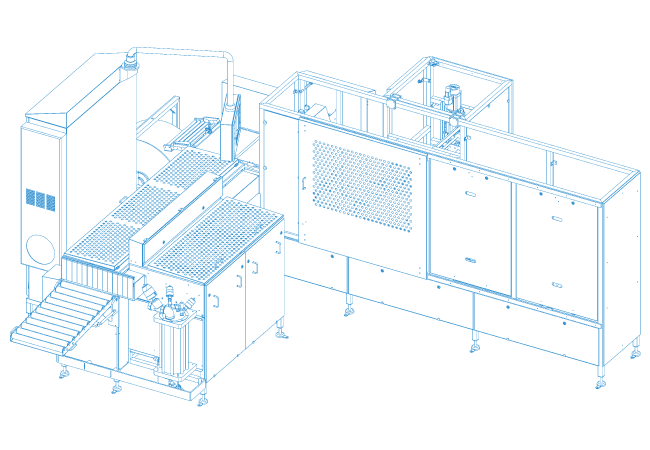 The VSM®5005/4005-R is the high-performing professional machine for fully automatic packaging of large capacities.